Love soup? We do too. 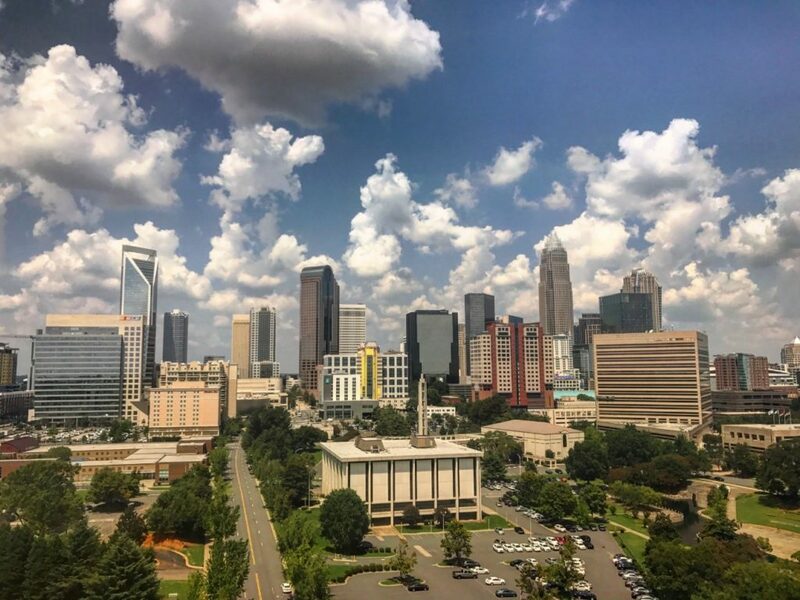 Below are the tastiest soups in Charlotte. Recently, we surveyed our daily Agenda newsletter subscribers and asked them about their favorite soup in town. Thousands and thousands of responses flowed in including, “Sabor queso,” “Jam Session IPA Noda Brewing” and “Roxbury Basement at 1:55 a.m.” I like soup jokes. A lot. Let me also say that we haven’t developed into a first-class soup city. 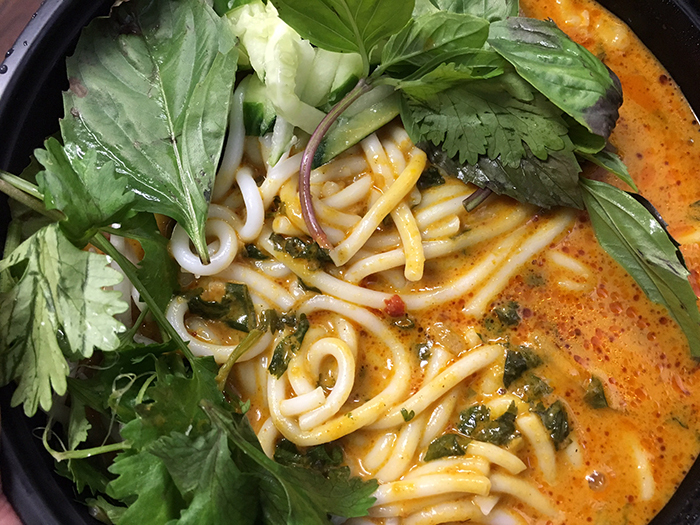 OK, here’s a look at the 20 best soups in Charlotte. The list is in no specific order. 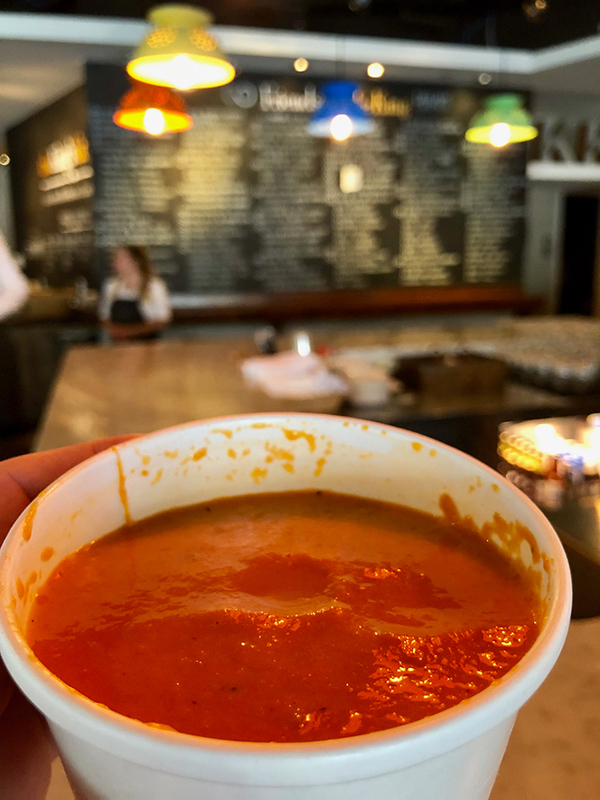 Honorable mentions: The Palm’s lobster bisque, Beef N Bottle’s French onion, Pio Pio’s chicken soup, Dandelion Market’s tomato soup, La Belle Helene’s French onion soup, Bedder Bedder & Moore (all soups) and Newk’s (all soups). Baked provolone with croutons for $6.50 served inside 300 East’s old school Dilworth space. 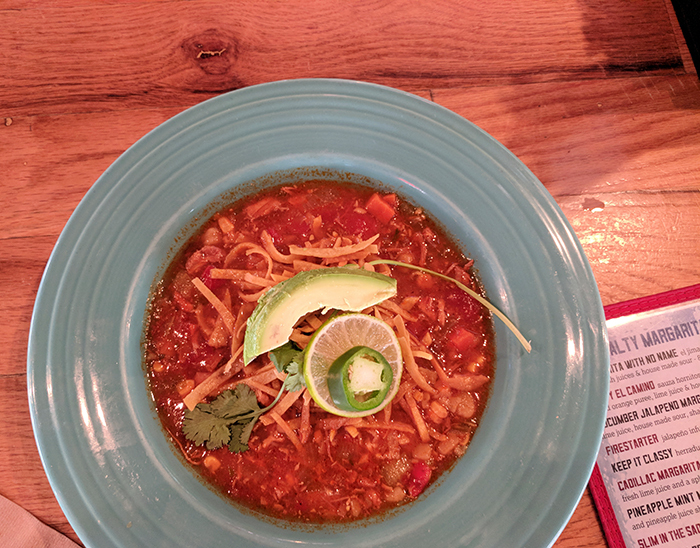 This $5.95 soup is described as “wicked good.” Don’t be fooled by Moosehead’s Montford neighborhood bar vibe; the soup is legit. Lovely big chunks of clam. Wash it down with an order of Moosehead wings. When it’s got the owner’s last name in front of it, you know it’s going to be good. $4 for a cup and $6 for a bowl (served with goat cheese crostini). Sister restaurant Rooster’s also serves Noble’s tomato basil bisque soup. They say it’s hot, and they mean it. Easily my favorite of Lupie’s four different chilis. It’s made with ground chuck but NO tomatoes, and it simmers in beer sauce for over six hours (which you can totally taste). Yes, I’m considering chili a soup. Don’t email me. 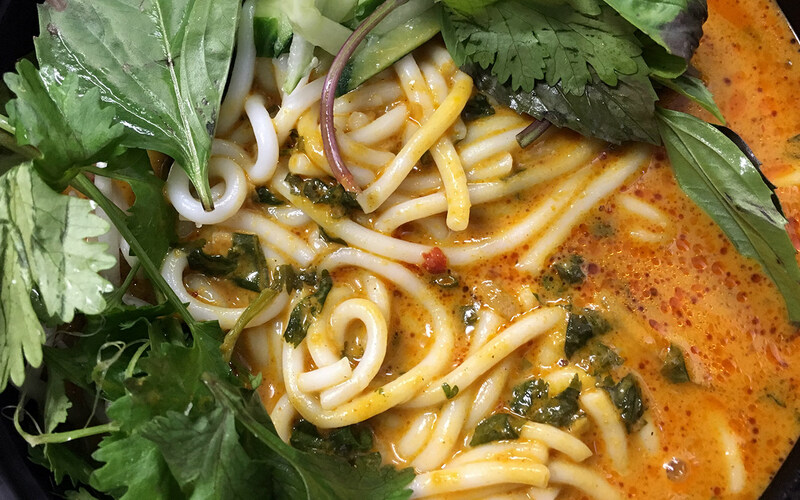 Looking for killer Vietnamese food? Head to Lang Van on the east side of town. 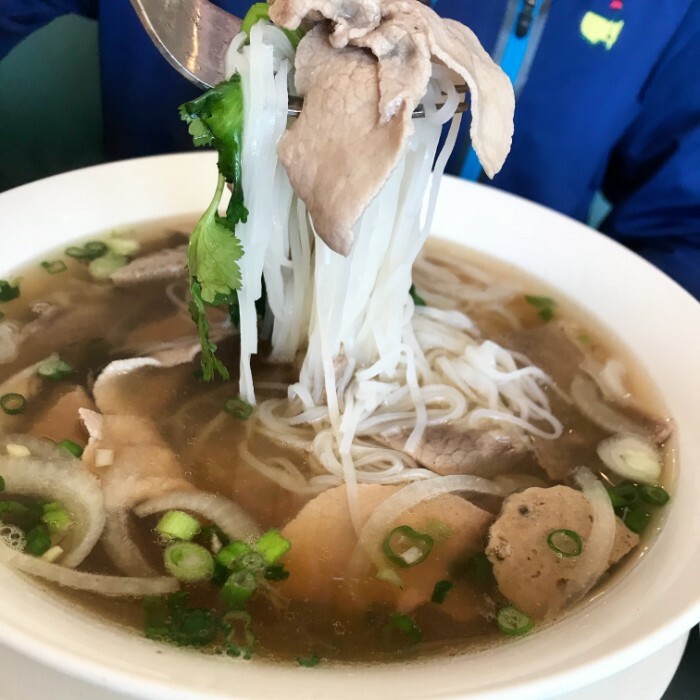 If you’re new to pho, they’ll guide you to the pho dac biet, a huge bowl of beef noodle soup. If you’re not ordering pho, you can’t go wrong with the pineapple & pecan special. It comes with your choice of protein and is served in an eye-catching pineapple half. 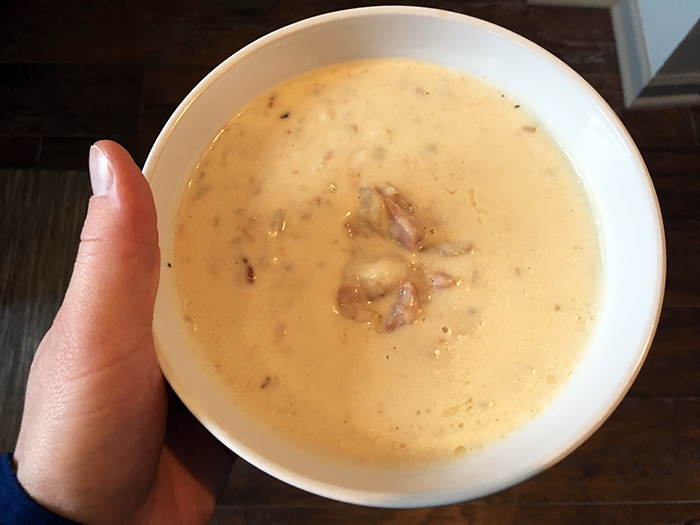 This was the #1 most loved soup in Charlotte (by a large margin). 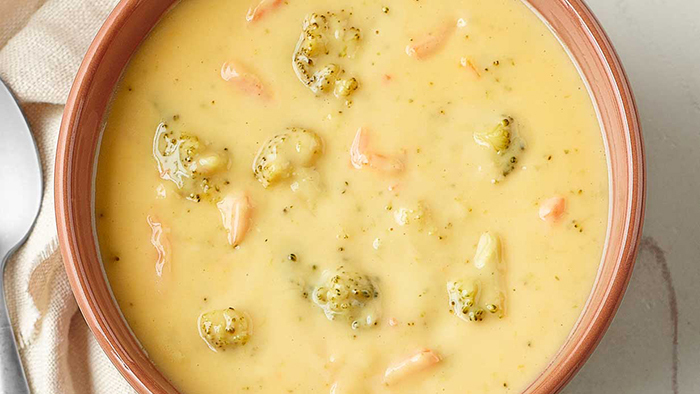 Inside this 365-calorie soup is chopped broccoli, shredded carrots and select seasonings simmered in a velvety smooth cheese sauce. 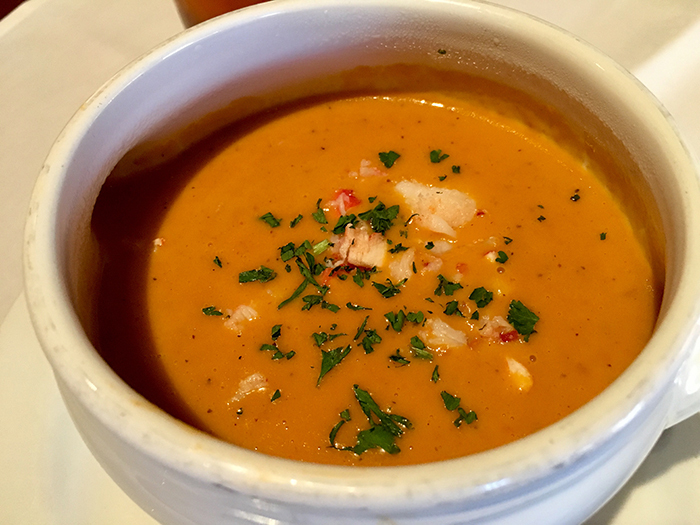 This $12 soup with fresh Maine lobster, cream and brandy is a huge hit in SouthPark. The lobster comes in alive to the restaurant every morning — that’s how fresh it is. 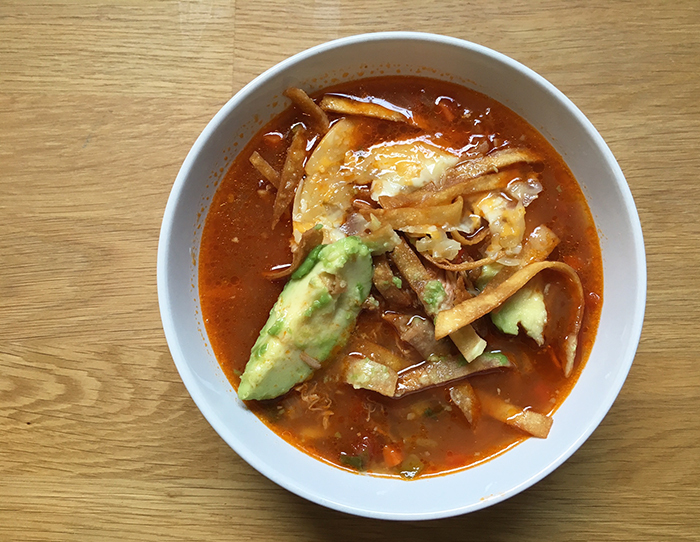 Traditional soup of pulled chicken in a fresh vegetable broth, topped with Mexican cheese, tortilla chips and fresh avocado. 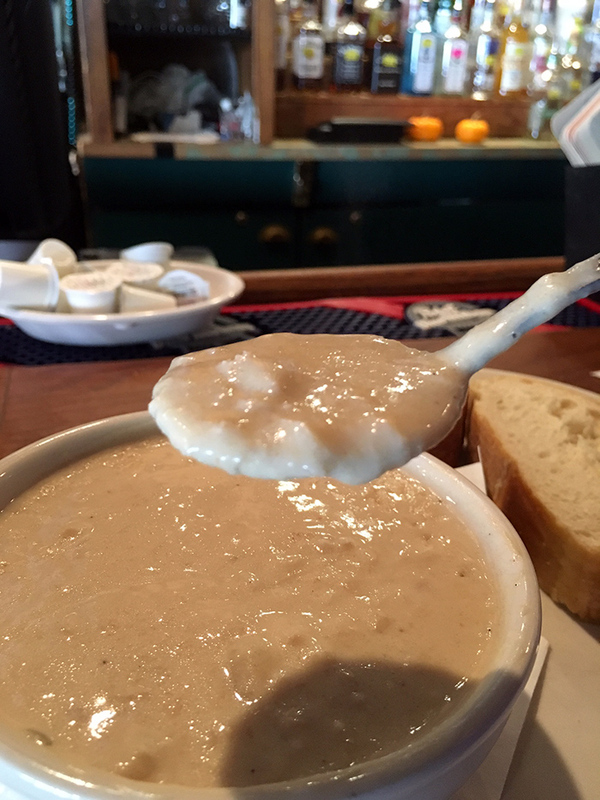 Eddie’s Place may be known for their breakfast all day, but you’ll learn why they do about 150-200 She Crab soups each day after you give it a shot. A bowl is $6.95 and comes with two giant pieces of warm salted bread. In addition to the She Crab, Eddie’s also has a hearty Chicken & Sausage Gumbo soup. What’s inside? Shrimp, shredded chicken, bun rice noodles, shredded cucumber, thai basil, baby bok choy, served in a spicy coconut broth for $15. 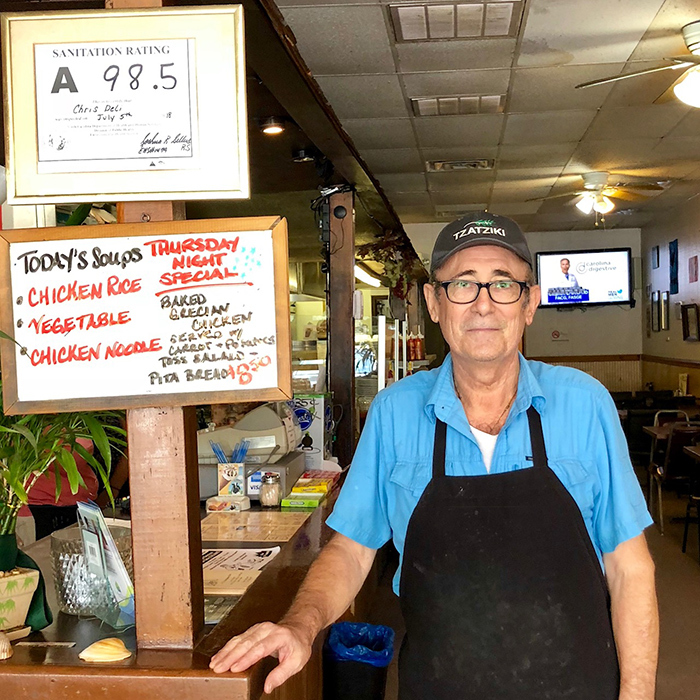 This old school deli on Independence Blvd serves up some of the best sandwiches and soup in the city. And yes, Chris still works behind the counter after 35+ years. 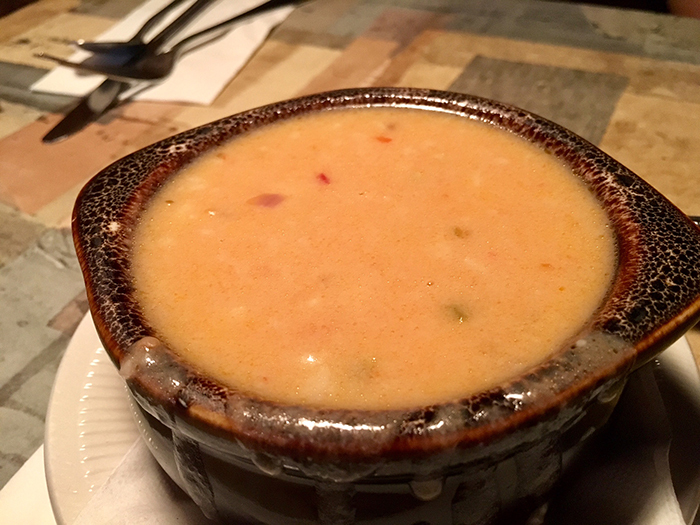 Served in a perfectly cozy historic Fourth Ward home, the Spicy Crab Soup has a perfect mix of crab and spice. A cup runs $3.95 and a bowl $4.95. Grab a booth and if you need a sandwich too – go with their Reuben. 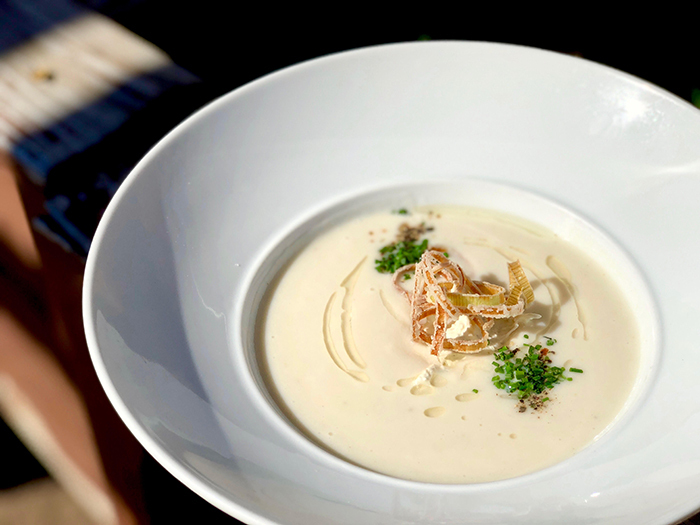 A top 5 restaurant in Charlotte, Barrington’s lovers are huge fans of their cauliflower soup with shaved black truffle, North Carolina lump crab and mascarpone. It’ll run you $11 at this intimate SouthPark restaurant. What’s inside? Pulled rotisserie chicken, homemade chicken broth, cilantro infused rice, green onions, red onions, red peppers and cilantro. 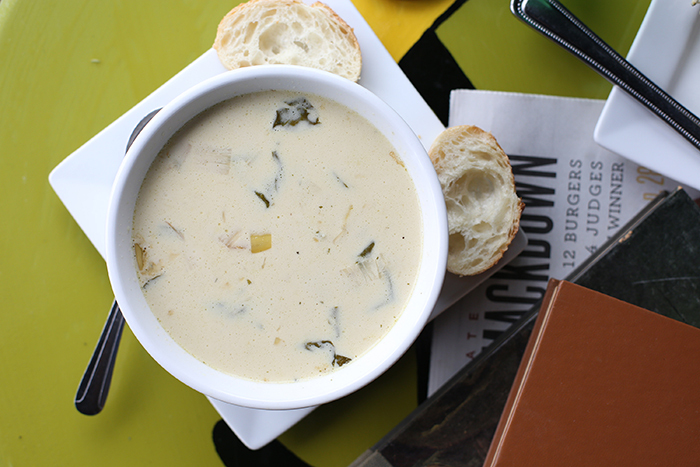 Amelie’s hit soups are their spinach asparagus leek soup and their spicy Thai soup. They also come out with seasonal soups four times a year. What’s inside? Poached chicken, carrots, tomatoes, potatoes and chilis. Garnished with avocado, lime and a jalapeño. 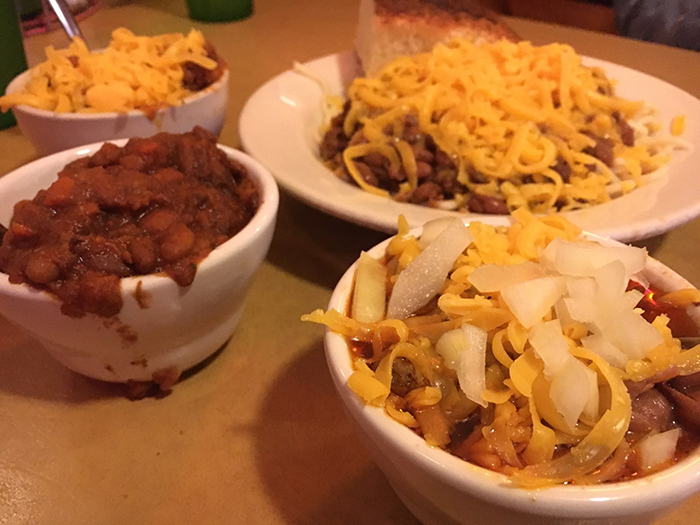 A cup is only $3, bowls are $5. 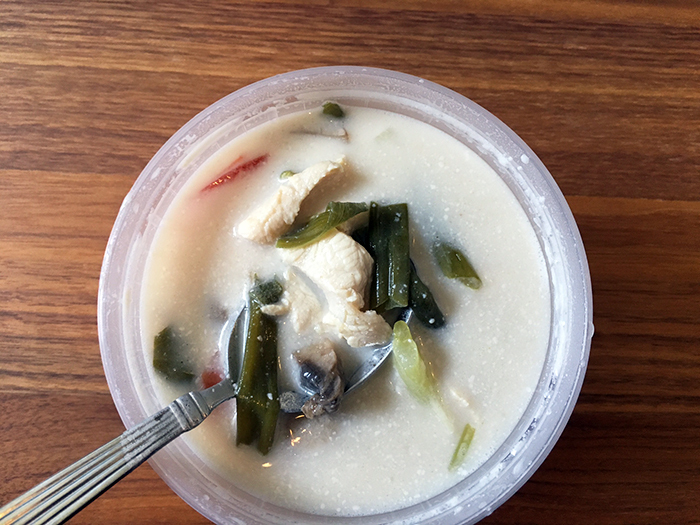 Tom Kha is their coconut cream soup with mushrooms, green onions, tomatoes, galanga, cilantro and lemon grass. 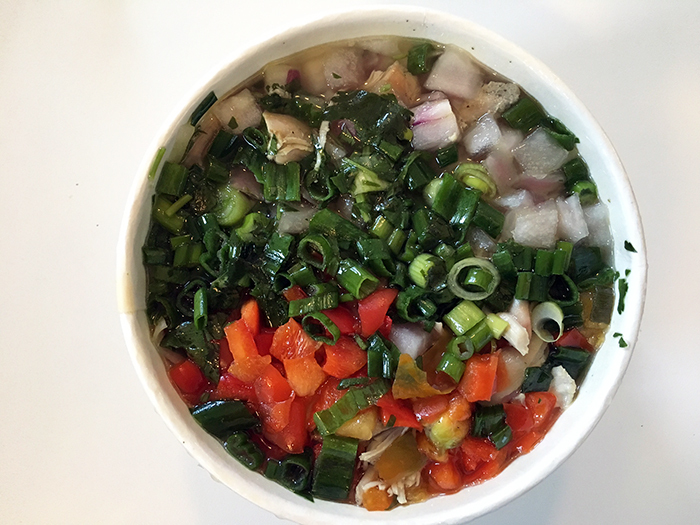 Another top soup seller is Thai Taste’s “Tom Yum” – a slightly sour spicy soup with herbs, tomatoes, green onions, cilantro and mushrooms. 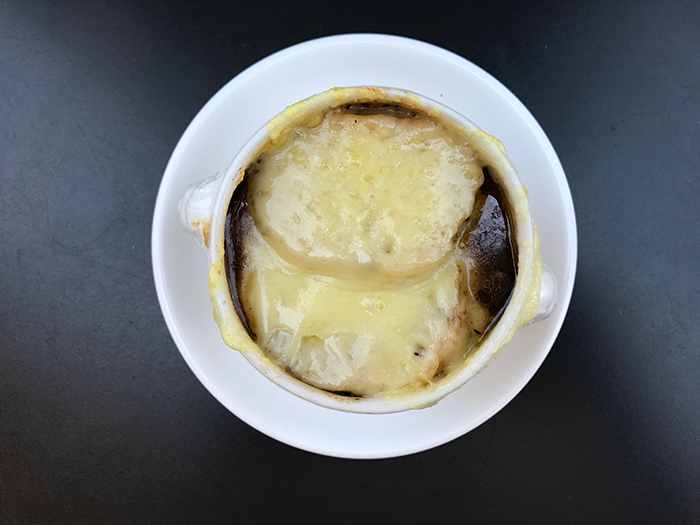 It seems too obvious that the best place to get French onion soup is at a French restaurant. 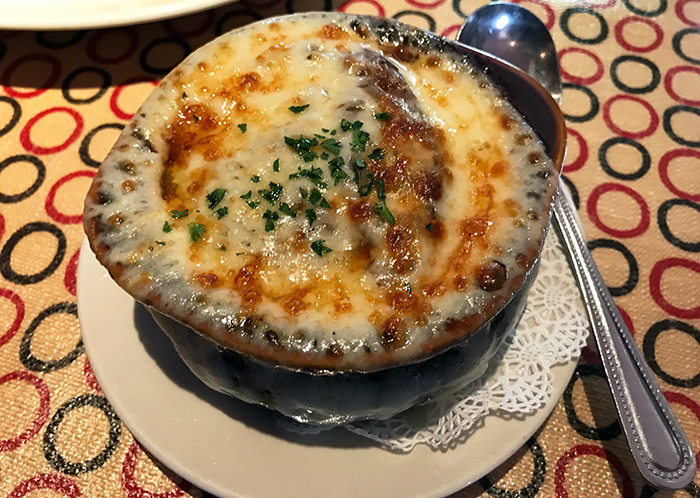 But obvious or not, Café Monte’s French onion soup is the real deal with a generous topping of melted cheese, salty broth served in an adorable goblet. 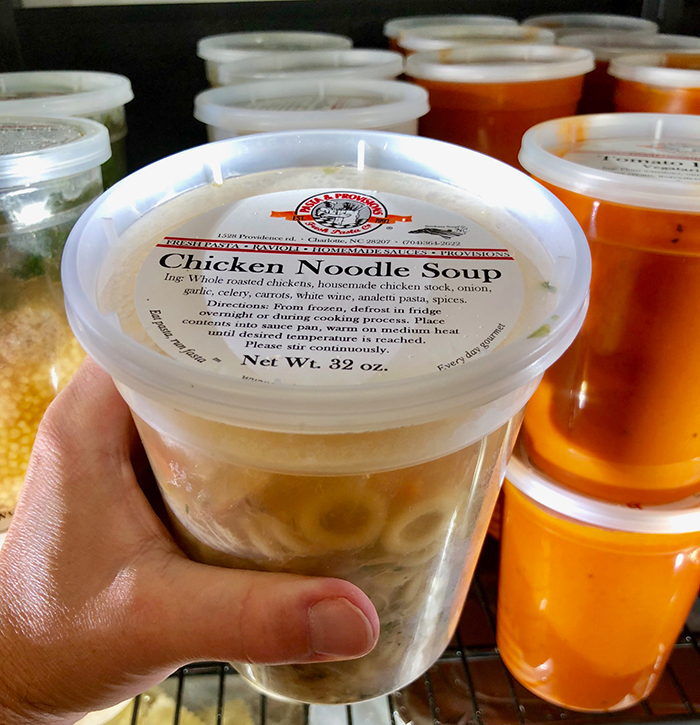 Other tasty Pasta & Provision’s soups include ham & hominy, pasta e fagioli, Italian wedding, tomato bisque, vegetarian minestrone and cioppino (seafood stew). These come frozen in large containers. What’s inside this $14 ramen dish? Pork bone broth, pecan smoked pork belly, scallion, organic mushroom, onsen egg, pickled ginger, nori, sesame and black garlic. Futo Buta offers 8 different ramen bowls. 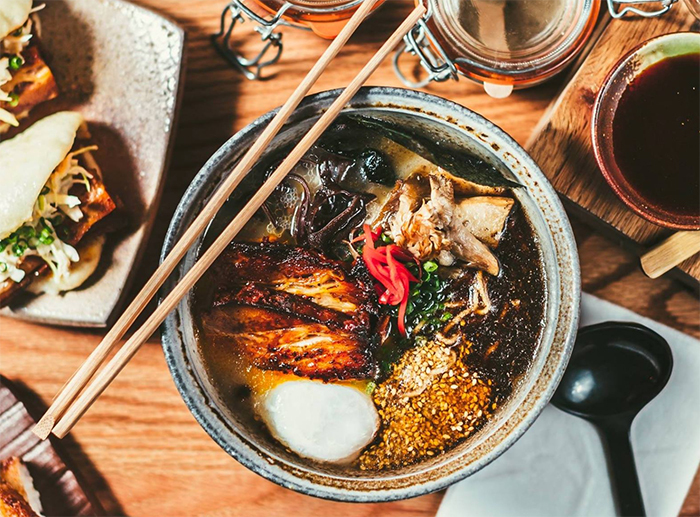 Other popular choices include their Miso Ramen, Fire & Ice Ramen and Chizu Ramen.